Home / vietnam / Great War Vinasun-Grab: Grab compensation is unfounded? Great War Vinasun-Grab: Grab compensation is unfounded? 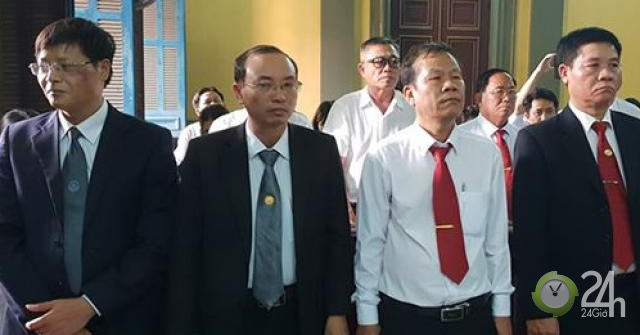 In particular, the High-Level People's Public Prosecutor's Office in Ho Chi Minh City asks the People's Court (People's Court) to issue the same appeals process in order to establish a first-instance judgment without accepting the entire Vinasuna petition. According to the High-level People's Prosecutor's Office in Ho Chi Minh City, on the basis of documents and evidence in the file, the results of the examination, the hearing and the first-instance debate are sufficiently defined: Grab is a work unit. Passenger transport does not violate the law. Grab is a passenger transport unit authorized by the competent state agency in accordance with the law, based on Project 24 of the Ministry of Transport (MOT). In addition, in connection with Vinasun's claim for damages, the High-Level People's Prosecutor's Office in Ho Chi Minh City said that the first-instance judgment was based on the Cuu Long Inspection Company Inspection Certificate, in which Grab was found, causing Vinasun damage, from Accepted, that part of the Vinasuna petition is unfounded. In fact, the fall in Vinasun's revenues and profits (if they exist) is associated with many objective and subjective factors, such as corporate governance, market situation, and competition between different modes of transport. … there is no causal link between the violation of the law and the occurrence of damage. Therefore, according to the Procuracy of the High-Level People in Ho Chi Minh City, the sentence of first instance for Grab compensation of 4.8 billion VND for Vinasun is unfounded. 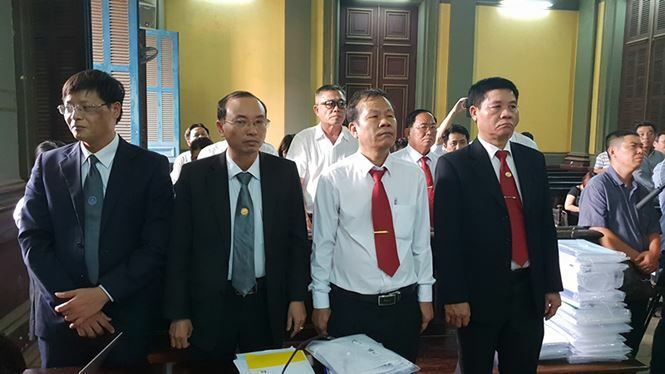 Earlier, on December 28, 2018, the People's Court of Ho Chi Minh City (People's Court of Ho Chi Minh City) declared Grab Company Limited (Grab) compensation of 4.8 billion VNDs for the Vietnam Sunshine Joint Stock Company (Vinasun ). Subsequently, on January 14, 2019, the People's Public Prosecutor's Office of the City of HCM decided to appeal to the court of first instance in the HCMC national courts to settle the case of "non-contractual compensation of damages" between Vinasun and Grab. In this case, Vinasun said that Grab took the decision of the 24th Ministry of Transport (MOT) on a pilot plan to use technology and science to support and connect passenger transport. According to the agreement (Diagram 24), to make legal acts violating the passenger transport market by taxi. Since then, Vinasun sued Grab for HCMC People & # 39; s Court has demanded compensation outside of the VND 41.2 billion contract at the beginning of February 2018. Grab said that he is a technology company that uses science and technology to support the management and connection of passenger transport under contracts. Grab said that the activity is always in line with Vietnamese law, in the event of violation or non-compliance with Project 24, the competent authority is the Ministry of Transport. Regarding the amount of the claimant's claim, Grab stated that there are no grounds to determine the number of losses.